I know I promised not to talk about college after the last post, but there’s something I must mention. Yep, as of last night at 9pm, I have the opportunity to join the CMU Class of 2023! I didn’t mention CMU previously because I honestly didn’t think I had a shot. I’ve talked ad nosium about my love of the USSR, but I’ve always also been interested in economics, specifically why the models don’t work. 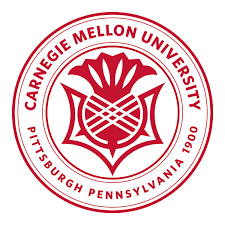 CMU happened to have a top ranking behavioral economics major, so I decided to apply despite not even taking an introductory psych course- ie shooting blind. The major is extremely rigorous, but I’m staying committed to my goal of making lasting connections. Also, I might not be pursuing Russian/Slavic studies as a major, but I’m not giving up that passion anytime soon. After all, Pittsburg has a fairly sizable Russian community. With all that said, things have definitely turned for the better for me; however, my opinions from the last post about the college have not changed. I’ll be back next week with a full report of our (extra x10) celebration tonight! Until then, I hope everyone has a great day!